Left Pittsburgh this day at 11 ock with a party of 11 hands 7 of which are soldiers, a pilot and three young men on trial they having proposed to go with me throughout the voyage. Arrived at Bruno’s Island 3 miles below halted a few minutes. Went on shore and being invited on by some of the gentlemen present to try my airgun which I had purchased brought it on shore charged it and fired myself seven times fifty-five yards with pretty good success; after which a Mr. Blaze Cenas being unacquainted with the management of the gun suffered her to discharge herself accidentally. The ball passed through the hat of a woman about 40 yards distanc cuting her temple about the fourth of the diameter of the ball; shee feel instantly and the blood gusing from her temple. We were all in the greatest consternation supposed she was dead … in a minute she revived to our enespressible satisfaction, and by examination we found the wound by no means mortal or even dangerous. 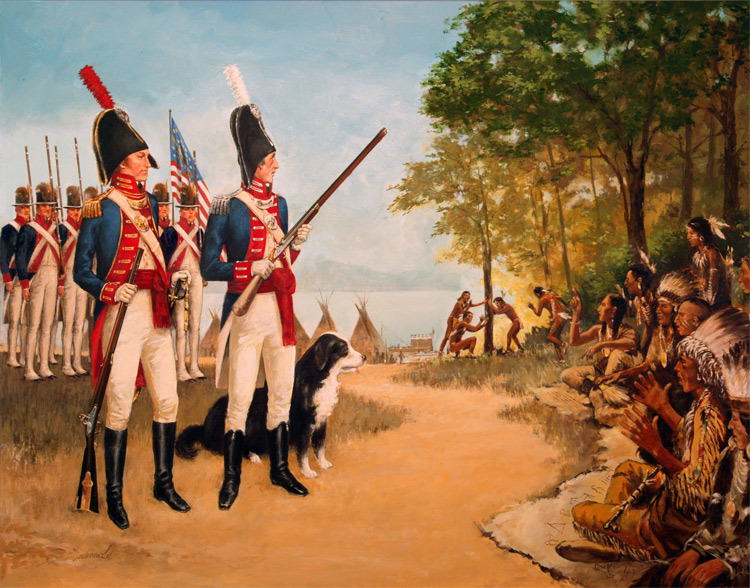 Thus began the checkered history of Meriwether Lewis’s air gun. Air guns represent the oldest pneumatic technology in warfare, dating at least back to the 16th century. In the 17th and 18th centuries, air rifles in calibers .30 – .51 were used to hunt big game and by skilled soldiers in battle. These air rifles were charged using a pump to fill an air reservoir and gave velocities from 650-1,000 feet per second. The most famous example of an early air gun is the Girandoni Air Rifle, used by the Austrian army from 1780 to around 1815. Though no detailed description of Lewis’s air gun exists, it is now believed that the gun he took on the expedition was a Girandoni Air Rifle he purchased with his own money in Philadelphia. Lewis’s air gun had high-tech advantages over the typical firearms of the day. For example, it could be fired in wet weather and rain, was relatively quiet, and gave off no muzzle flash or smoke, unlike flintlock and muzzle-loading guns which spewed out dense smoke that could obscure the shooter’s view. Furthermore, the air gun could be fired with greater rapidity than a normal gun. 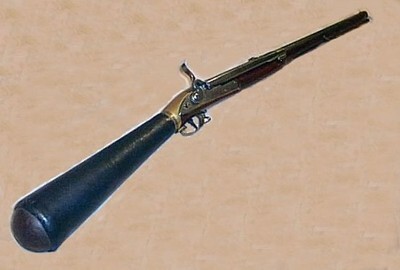 The air rifle Lewis had could, under ideal conditions, fire about 22 rounds a minute, versus two or three rounds a minute maximum for a typical musket or rifle. Capt. Lewis Shot his air gun told them that their was medician in hir & that She would doe Great execution, they were all amazed at the curiosity, & as Soon as he had Shot a fiew times they all ran hastily to See the Ball holes in the tree they Shouted aloud at the Site of the execution She would doe &c.
Lewis prized the gun and cared for it carefully, and it appeared on a list of items the explorers shipped east from St. Louis when they returned in 1806. In 1846, the gun was was listed in the estate sale of Isaiah Lukens, a Philadelphia clock and gun maker. It has only recently resurfaced. Air gun historian and collector Robert Beeman is the current owner of what is believed to be the Lewis and Clark air gun. To read about Mr. Beeman’s fascinating research which led him to conclude that the Girandoni air rifle in his possession is indeed the gun Meriwether Lewis carried on the expedition, please visit Mr. Beeman’s website. There are some today who actually consider Captain Lewis’s air gun an assualt rifle. Kind of an unfortunate post after Arizona. This was posted before the Arizona shootings. I have to say that I don’t really consider American military officers the equivalent of deranged civilians, but I get your point. I haven’t read it yet, but I’m looking forward to reading Alexander Rose’s “American Rifle,” about the history of the rifle’s place in American culture, from military to civilian. Sorry if I offended anyone with my post. I did not know of the Arizona shootings at the time that put it up.